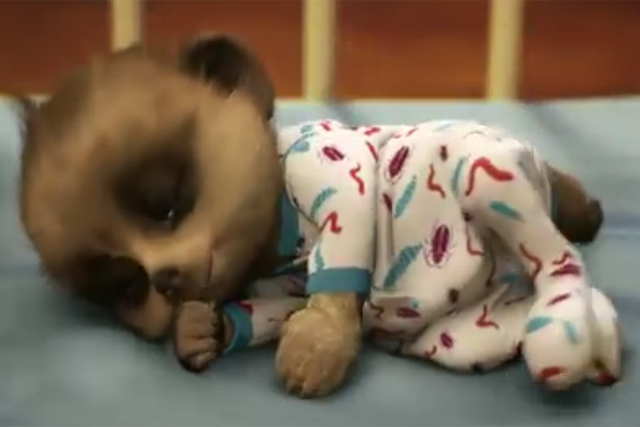 The Comparethemarket.com baby meerkat has returned to the top of the pile after one week away, beating Usain Bolt and Virgin Media into second place. Elsewhere, KFC's latest TV ad promoting its Bargain Bucket completes the top three, while Danone Activia's Gok Wan-fronted campaign secures tenth place. Adwatch research was conducted from 30 January - 3 February 2014 by TNS as part of its twice-weekly OnLineBus omnibus among 1000 adults aged 16-64. For details of the survey, contact Anita.Emery@tnsglobal.com (020 7656 5900). Ads were compiled by Ebiquity (020 7650 9700) and Mediaedge:cia UK (020 7803 2000).